Limited to 2000 Units & includes exclusive content. This dynamic and durable screen entertainment of the Civil War-era South comes home with the renewed splendor of a New 70th-Anniversary Digital Transfer capturing a higher-resolution image from Restored Picture Elements than ever before possible. David O. Selznick's monumental production of Margaret Mitchell's Pulitzer Prize-winning book can now enthrall new generations of home viewers with a majestic vibrance that befits one of Hollywood's greatest achievements. This is an amazing anniversary edition, at an amazing price. As a collector of Gone With The Wind, it was clear I had to add this to my collection - but it's a must have for any movie lover. 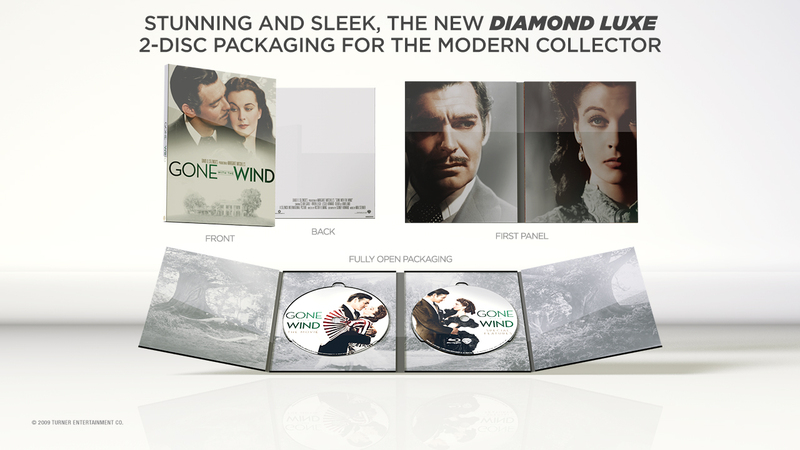 Gone With The Wind is one of the most spectacular movies ever produced for the silver screen, and this steelbook edition is perfect for such a movie. The 75th anniversary artwork is stunning and the interior is almost as stunning as the exterior. I bought this Blu-Ray for my mother's birthday. The packaging and presentation is top notch and the film itself is just brilliant and you get a lot of film / content for your money too. I would highly recommend to any film fan to buy this.